Railings are often an afterthought when designing a home or business, but these structures are not only vital for safety, but are often focal points that must contribute to the overall design and beauty of the structure. 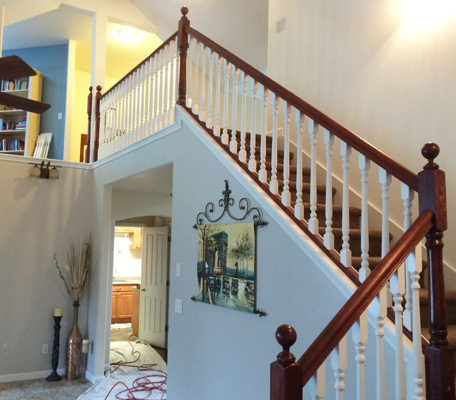 Whether you’re selecting wood railings for an indoor staircase or wrought iron railings for an outdoor balcony, quality workmanship guarantees that they will withstand unintentional abuse and protect your family members or business customers. When designing a new home or building an addition, many people don’t have the slightest clue how to select the railings that compliment a particular space. For example, railings for an indoor staircase would likely be inappropriate for an outdoor space, and while glass railings may be used for a penthouse suite with an amazing view, they may look silly on an interior loft. 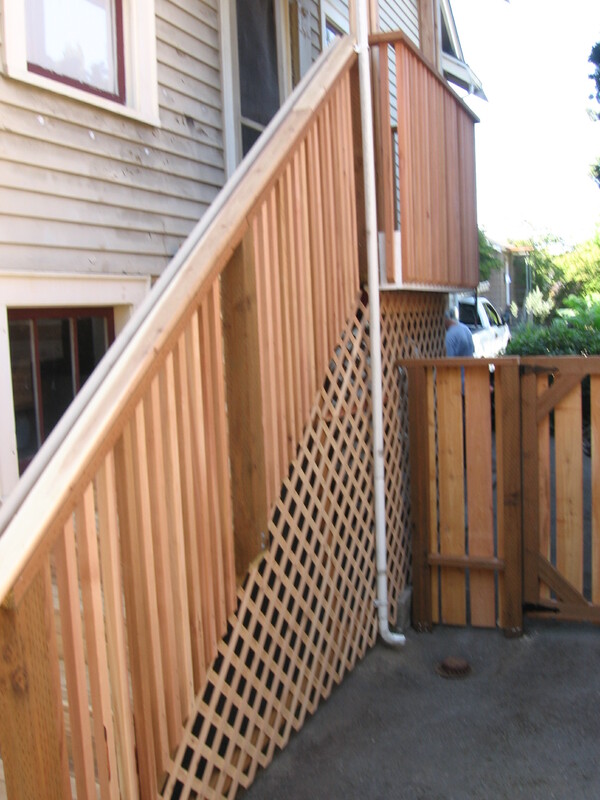 Mike Winter General Contractor has worked with railings of all sorts and styles, and can help you incorporate these elements into your design by utilizing his experience and professional knowledge. Whether your adding a handicapped access ramp to an existing building or building a multi-story structure with numerous railings throughout, we can help you find a solution that fits within your budget. When dealing with railings, it’s especially important to work with an experienced contractor who understands how different materials should be used in any given environment. They should also be willing to work directly with you to customize the railings to your lifestyle and aesthetic sensibilities. How many feet of railing will you need? What materials do you prefer your railings to be made from? Into what kind of material will the railings be installed? 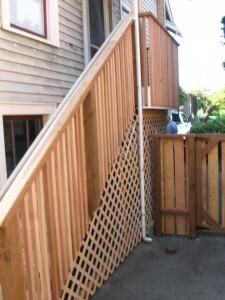 Are the railings part of a larger job? Once you can create a general image of your railings project, the ideas will take shape and we can help you refine those concepts into a working outline. This part of the design process is exciting, as you get to see your imagination transformed into a reality, and how our experience streamlines this process. Like many other aspects of design, once you dive into the many designs, shapes, and colors or railings, you may feel a bit overwhelmed. In Olympia, railings are used in many diverse ways, but it’s important to carefully consider the construction materials, especially for outdoor railings in our wet environment. Wood – Wood railings are still the most popular, come in a vast array of designs and colors, and can be as simple or ornate as you desire. From traditional white picket fences, to wooden guardrails for a deck or staircase, these railings have been a staple in homes and businesses for generations. Durable, versatile, weather resistant, and almost maintenance-free, wood is a terrific option for most people in the market for railings. Glass – Tempered glass railings are used to keep people safe without obstructing the view. While glass railings necessitate some regular cleanup, there is no better way to keep a space feeling well-lit and open. Steel and Cable – These railings offer clean lines and a modern edge while fully considering safety needs and durability. Steel and cable railings can be used in both residential and business buildings. Bench Railings – Looking for something unique out of your Olympia railings? Bench railings may be perfect for you outdoor deck, or for commercial outdoor sitting areas that follow a boardwalk or other pathway. On a deck, bench railings provide plenty of sitting space without having to clutter the open area with chairs. Aluminum – This is a common material for guardrails, and come in customizable component railing systems for easy installation in a number of environments. Aluminum railings are durable, easy to maintain, and have a long lifespan. Steel Rod – These railings can be used independently, or in tandem with wood railings for an attractive blend of modern and traditional motifs. Synthetic Wood – Popular for indoor railings and guardrails, synthetic wood is beautiful and durable yet could save you money over solid wood and metal options. Exotics – Woods like Ipe are becoming increasingly popular for flooring, so there is little wonder that these materials are now available for railings. Custom Designs and Patterns – While many railings come in prefabricated stylings, you may want something truly unique for your Olympia home or business. We can work with you to create custom Olympia railings, limited only by your imagination and budget. At Mike Winter General Contractor, we are dedicated to quality workmanship combined with unmatched customer care. Every great design idea starts with the spark of imagination, and we are eager to help you bring your ideas to life by offering our extensive local experience. Your Olympia railings should complement and enhance your structure or outdoor space, so work with a professional contractor who can tackle every phase of your job – from start to finish.